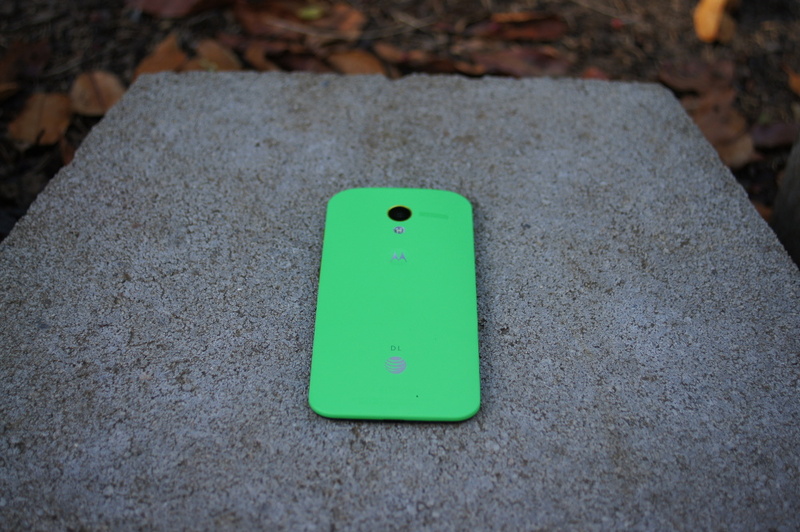 Remember the custom Moto X that we designed at the end of last week? Here it is. 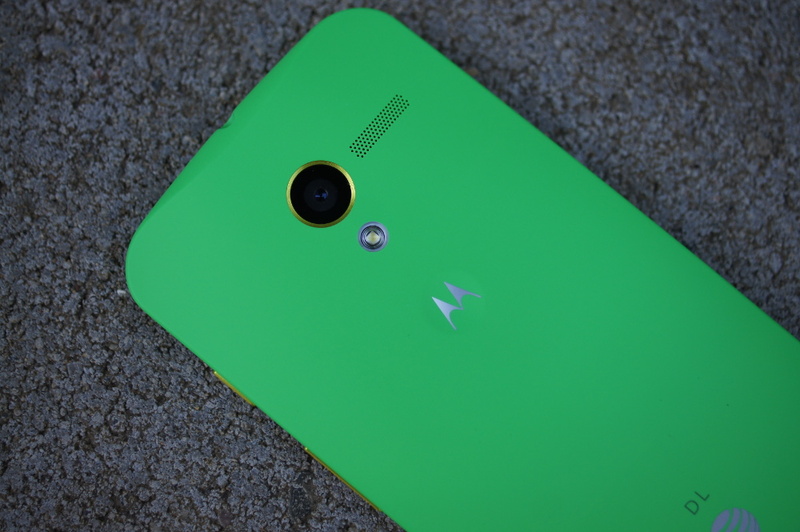 As promised by Motorola, our MotoMaker-made Moto X arrived in 4 days or less. Our design went in on Thursday morning, shipped Saturday (yes, on a weekend) and showed up here first thing this morning. 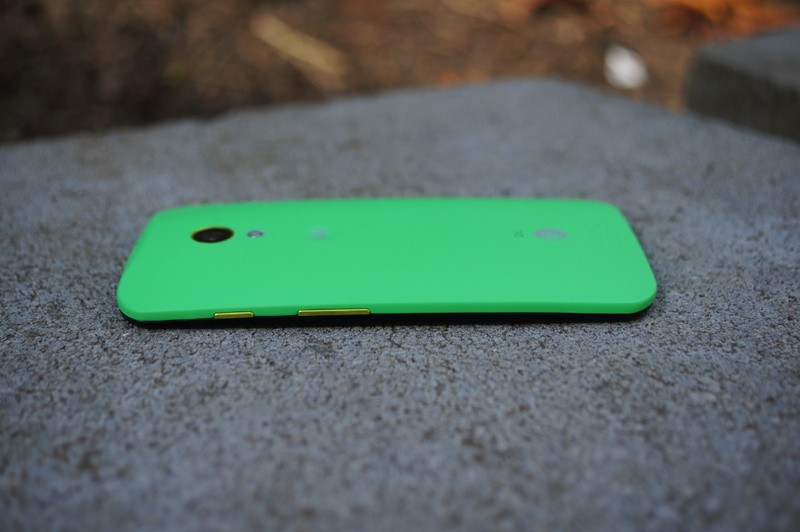 As you’ll recall from our walk-through, we chose Spearmint as our main color, along with Metallic Yellow highlights, which we realized after the fact would almost turn this into an Oregon Duck phone. Thankfully, the green really is “spearmint” and the yellow looks almost gold, so it does stand on its own. With the black face, we’re also getting that infinite black look that you see with most Nexus devices thanks to their on-screen nav buttons that disappear with the screen locked. Thanks to “D L” branding on the bottom, just above the AT&T logo, this is a one of a kind phone. And damn do we think it’s pretty. 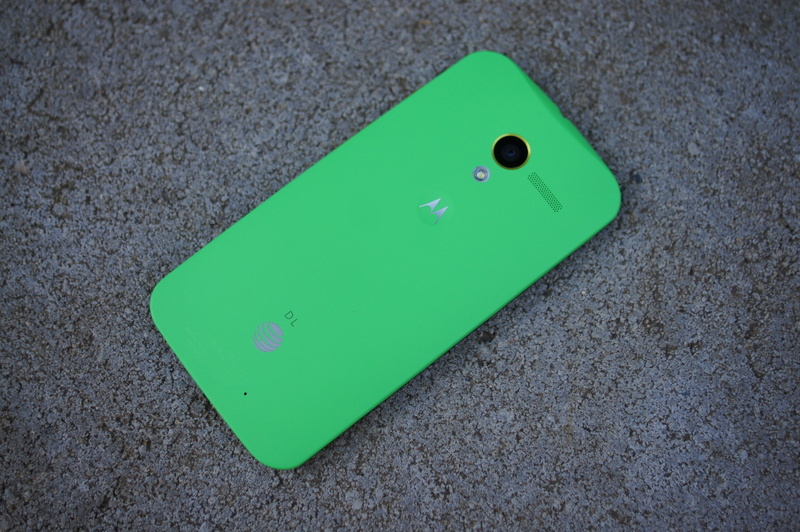 One thing I’d recommend that you all do should you have an AT&T account and decide to customize a Moto X – go into a store and see the colors in person. While I’m perfectly fine with these colors, they do look somewhat different than what I saw online. Don’t get me wrong, it looks good, but I would hate to see a color surprise you in a bad way after waiting patiently for four days as it ships to you. 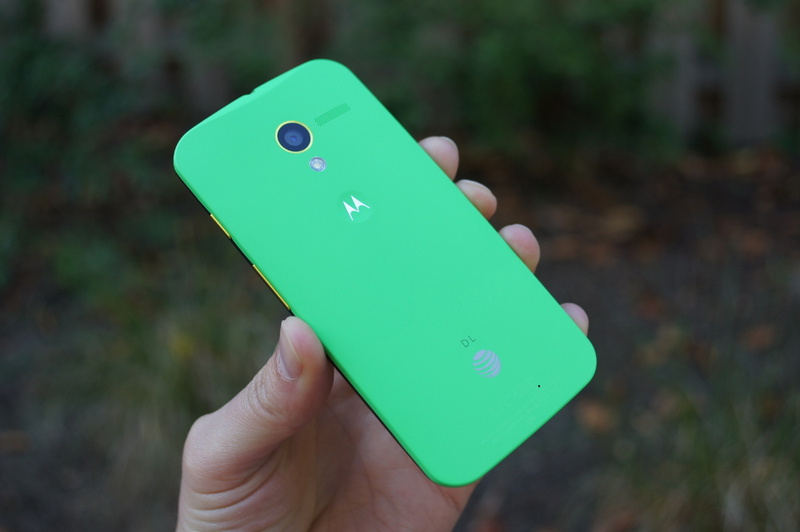 We won’t be reviewing this particular phone since our Moto X review is already done. But if you have questions about MotoMaker, want to see any other angles of this new color scheme, be sure to let us know in the comments.